The number of migrants crossing into Greece has decreased by 80% compared to last year, but levels still remain high, said Fabrice Leggeri head of the European Union (EU) border agency on Tuesday. “The irregular migration pressure on the southern borders in the Mediterranean will remain at a very high level,” the Greek newspaper Ekathimerini quoted Leggeri as saying. He said he was concerned that EU countries were sending fewer unauthorised migrants home. He made his comments a day after 17 Turkish nationals landed on Oinousses, a Greek island in the eastern Aegean. 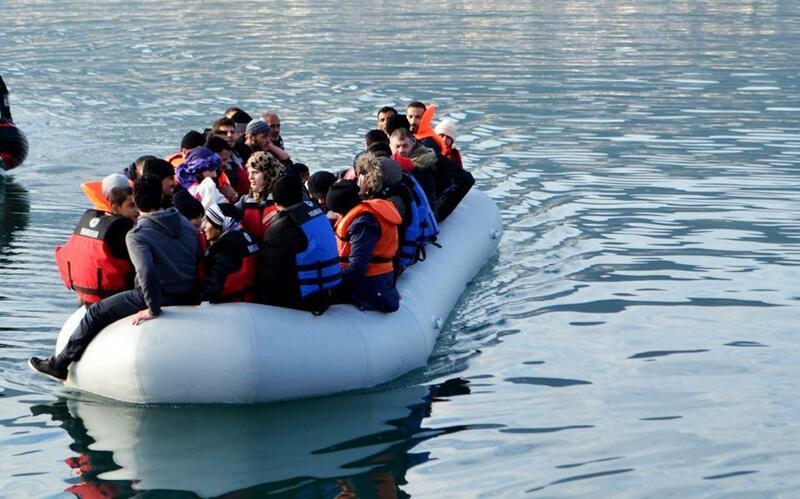 They are the latest addition to more than 2,000 Turkish nationals who have fled to Greece since the crackdown that followed July 2016’s attempted coup in Turkey. Many are suspected of links to the Gülen movement, which the Turkish government holds responsible for the botched coup. More than 50,000 people have been imprisoned in Turkey and at least twice that number have lost their jobs in the wake of the coup. Migrant crossings into Greece are down 80 percent from last year, but “pressure remains at a high level,” the head of European Union border agency Frontex warned on Tuesday.